Father’s Day only comes around once every year, and for those 24 hours, it’s all about the dads. It’s a deserved honor and one that gives children of all ages a chance to reflect on their own fathers and the influences they have had on their lives. Dads should be celebrated all year round though, and for more reasons than because it is what a calendar says. 1. Dads are fun. Sure, there are serious moments, but overall,great dads are just big kids at heart. Dads are automatic teammates, video game opponents, and pillow fight strategists. In a world seemingly filled with authority figures, kids can count on dads to bridge the gap between adulthood and childhood and keep things light. 2. Dads are smart. There are a lot of things about life that dads impart to their kids, and much of it cannot be learned in a text book. They have a way of expressing their ideas in understandable ways. 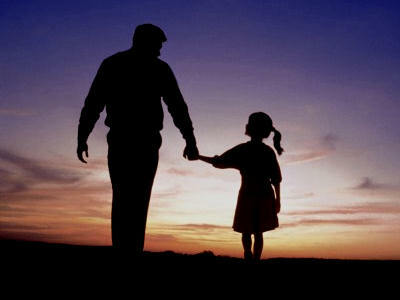 Dads tend to find the teachable moments in everyday life and make them meaningful to their kids. 3. Dads are sensitive. While a lot of fathers have a reputation for their tough guy exteriors, deep down they have a soft spot for their kids. Whether it is helping them work through a difficult homework assignment or listening during frustrating times, dads provide shoulders to cry on and arms to embrace life’s challenges. 4.Dads always answer the call. Whether a little girl needs help fishing her doll out of the toilet, or a young man in college needs help moving into his first apartment, dads are always at the ready. Dads offer manual labor, rescue services, and a lot of volunteer hours too. Kids of any age can count on dads to come when they call, and to make everything in life just a little bit easier. 5.Dads are the underdogs. There are some really awesome moms out there, and sometimes that can overshadow all the hard work that dads are doing too. Research has found that dads today are more likely than their own fathers to be involved in the everyday lives of their children and to help with domestic responsibilities on a larger scale. Dads work hard and we should recognize that every day of the year. What are some other great reasons you can think of to celebrate dads? The summer months are synonymous with relaxation, family time, and having good old-fashioned fun. Even parents who do not have much time off from work can find ways to sneak in some warm-weather fun while the kids are out of school. Take a look at just a few fun activities you should schedule with your kids this summer below. Even if all you do is set up a tent in the backyard and make S’mores in your fire pit, enjoy the warm weather the summer months afford and spend a night outside. For those kids that are more adventurous, you can take them on aweekend long camping trip. Along with your sleeping bags and bug spray, don’t forget to bring along some flashlights and your favorite ghost stories. Head to the county fair or a local festival and split a corn dog and an elephant ear together. See if there will be any bands or musicians and enjoy an evening of live music and dancing too. The great thing about summer fairs is that not much has changed since you were a kid. You may find fair favorites of your own that you’ve forgotten over the years! Escape the hottest hours of the day by heading to a matinee showing of a big summer blockbuster. Some theaters even offer reduced or free family movie days, so take advantage of the discounts and the quiet time with your kids. It can be difficult to pry electronic games and entertainment from kids’ hands, even toddlers. Set aside some time to disconnect from technology for the entire family (including parents) and take turns picking out board games to play. Summer is ripe with some of the year’s best fruits, including strawberries, blueberries, and raspberries. Find a local picking farm and then head out to harvest your own fruit. To make it a full experience, choose a few recipes—a cobbler, muffins, etc.—to try out with your spoils. Find a few fun ways to spruce up the home for the summer and get the whole family in on the fun. Summer is the perfect time to rearrange, repaint, redecorate kids’ bedrooms, and create serene outdoor spaces. Getting your kids involved helps them to learn new skills, contribute to the home, feel good about their work, and enjoy the new space even more. To kick it up a notch, take any of these suggestions and turn them into a yearly summer tradition! Give yourself and your kids something to look forward to every year—spending quality time together and having lots of fun in the process. Although dads and daughters should be bonding at every age, the teenage years can be the most tumultuous for parents and their kids alike. As children start to bridge their childhood years into adulthood, it can be a confusing, difficult, and emotional time. When it comes to dads, daughters may seem downright impossible to communicate with or understand during the teenage years. But this is the time when “little” girls need their fathers the most, so don’t give up on her. Take a look at a few simple ways to reach out and help your daughter get through the tough times of teenaged life. Be a constant presence. No, you shouldn’t go with her on her dates or show up randomly when she is hanging out with her friends. Technology has made it easier than ever to let her know that you are thinking of her, even when you aren’t there in person. Send text messages and emails, and even goofy selfies to keep her smiling. Let her know you are always just a text or call away and that you are always thinking of her. Share your stories. It may seem like an ancient history to you, but relating your own struggles as a teen and young adult may ease some of her own anxieties. Talk about the times you faced challenges, or made poor decisions, and how you picked up and kept on going. Emphasize that things that seem like a big deal in the moment will not matter down the road. Even if she rolls her eyes at your outdated stories and assures you that you can’t possibly understand, tell her anyway. It may make more of an impact than she is willing to share with you. Step in when it’s warranted. Part of growing up is making your decisions, but occasionally teens need their parents to back them up. If your daughter is fighting a battle that seems to be over her head, step in and help her through it. This may be something as simple as a difficult math class that she is too prideful to ask for help to get through, or could involve peer pressure to engage in dangerous activities. While it is important to give her room to make the right decisions on her own, remember that you are still her parent and that it is okay to intervene when needed. What advice have you heard about dealing with teenaged daughters? Use the comments below to share your own advice or experiences to help out other dads going through the same challenges. Imagine--you're seventeen, hold down a part-time job, and are successful in school. You're on the school's football team, baseball team, and have no criminal history or history of drug use or alcohol use. Your girlfriend gets pregnant, tells you you're the father, and you prepare accordingly to have the child raised and cared for in your home by your mother while you're in school. The crib is assembled and the nursery is complete, a whole separate room in your parents' home for your new arrival. Delivery day comes. The mother of your child refuses you as the father and puts the child up for adoption. Like most dads (regardless of age), you would go through the courts to fight for the rights to be the parent to your child--even if your girlfriend (or perhaps "ex-girlfriend" at this point) feels the child should be put in adoptive care. Would you succeed? Apparently not. In a recent court ruling in Bakersfield, California, a 17-year-old father, Christian Diaz, was denied parental rights to his own child, forcing the baby into adoptive care. A willing father was denied the chance to raise his child, just because the child's mother made a decision on her own, left his name off of the birth certificate, and persuaded hospital authorities that he wasn't the father and to keep him away from the child. Cases like this, where a fit and willing father is stepping up to the plate to be a dad, remind us that there is still a long road ahead of us. Being with our children and raising them is a right we have, and until the courts can see this, we will continue to fight for our rights! Read more about this hearing on Bakersfield.com. Carolyn Elefant, a practicing lawyer, leading writer on solo and small law firm practice and publisher of MyShingle, warns solo and small firm lawyers not to waste money on LexisNexis Martindale-Hubbell's lawyers.com service because of the LexisNexis name. Per an article in ClickZ News, LexisNexis Martindale-Hubbell has begun selling two sponsorship products on its Lawyers.com. Lawyers can purchase either sponsored links or content sponsorships on lawyers.com. There's three price levels: Nationwide, from $900 per month; statewide, from $160 per month; and by county, starting at $50 per month. Sounds good, except for one thing – the service won't work. The journalist who wrote the article noted that in, for example, a search for medical malpractice attorneys in Los Angeles, only two paid listings showed up. If other users obtain those same results, they'll look for lawyers elsewhere on the Internet, not on lawyers.com. So anyone paying $900/month (or even $50/month) for exposure won't be attracting anyone. Elefant goes on to explain that even a lawyers.com listing will not even give lawyers broad exposure on the Internet. If you're listed in lawyers.com, try googling your name on the Internet. It's likely that your lawyers.com listing won't even show up. Even if you google your specialty – say, Maryland civil rights law – and lawyers.com appears at the top of the list, users aren't going to want to deal with a scroll through menu. Rather, they'll just go to the lawyer with the weblog on Maryland civil rights law who comes up at the top of the listing – or the lawyer who bought the Google ad words 'Maryland civil rights' whose links appear in a feature box. This is one reason why there are a lot of divorce trial lawyers who are against collaborative divorce: attorneys make a lot of money billing time for trial-related activities such as depositions, interrogatories, witness preparation, exhibit analysis and selection, and trial itself. Trial attorneys bill this time even though they know that 95% of all divorce cases end in settlement, even sometimes after trial but right before a judge issues a ruling. Since collaborative attorneys are prevented from going to trial, they do not engage in or bill for any of these trial-related activities. What is more, nationally, collaborative divorce has about a 90% success rate, so collaborative attorneys tend to be very successful at helping their clients reach a divorce resolution without having to go to trial (and around 2% of collaborative cases end with the parties reconciling). In those rare instances when the collaborative process is not successful, the collaborative attorney must resign, and trial attorneys may be retained by the clients to go to court. These collaborative trainings can cost a lot of money to attorneys, and, as they keep the attorneys out of the office for two days or more, there is no billing for time during those two days. Accordingly, many Florida attorneys are simply not willing to invest the money to learn a new method for helping clients go through divorce. And yet those attorneys who have gone through the training and resolved a case collaboratively will confidently tell clients that, although any divorce is difficult, in most cases the collaborative divorce option is the single best way for clients to end their marriage without destroying their family. The trainings also emphasize that other professionals can do some of the work much more efficiently than attorneys. So, in collaborative cases, both attorneys tend to hand over the gathering and analysis of financial information and the development of financial options to a neutral C.P.A. or financial advisor. The financial professional can do these tasks better and more quickly since they are in their field of specialty, and at one billable rate rather than at the two billable rates of each parties’ attorney (which tend to be higher than the financial professional’s rate). Again, this means less billing on the part of attorneys compared to contested cases, and thus less money for them. Similarly, the trainings point out that most contested court litigation is only 20% legal and 80% emotional. When you bring in a neutral collaborative facilitator, who generally has a mental health background, you can cut through the clutter of emotionally-charged issues and get to the heart of what is important, such a parenting plan in which both spouses are heavily involved in the children’s lives, or a distribution of assets that permits both parties to be safe and secure in their future. Thus, the inclusion of a collaborative facilitator generally means less money wasted on attorneys going back and forth in fruitless negotiations. So, Why Would a Lawyer Offer Collaborative Divorce? Now, you may ask, why would an attorney ever choose to offer collaborative divorce as an option given that they are likely to make less money as compared to a trial divorce? First, believe it or not, lawyers are people, too. After seeing what court battles can do to families, many attorneys just want to do the right thing, and they see that the collaborative process is a much healthier, non-adversarial manner of resolving family law issues. Further, in a courtroom-based process, the judge has limited time and limited information and is making a binding decision after seeing the parties at their absolute worst (with trial attorneys emphasizing the other party’s faults). Usually, both parties are miserable by the time the trial divorce is over. In the collaborative process, the parties are the ones who decide their future and how they want to resolve their marital issues. Collaborative divorce clients tend to be much happier with the results of their case. Happy clients tend to tell other people about the process and refer friends and family to their collaborative attorney. Even if you started your divorce through the court process, it may not be too late. If you are going through a divorce, and your attorney has not discussed with you the collaborative option, ask if he or she has gone through a 2-day basic collaborative training. If not, you should encourage him or her to do so. You may also want to get a second opinion from a collaboratively-trained family lawyer to determine whether the collaborative process is right for you. If you have questions regarding collaborative divorce in Hillsborough, Pinellas, Pasco, Sarasota, or Manatee Counties, schedule a consultation with The Law Firm of Adam B. Cordover, P.A., at (813) 443-0615 or fill out our contact form. Adam B. Cordover is president of Next Generation Divorce, a 501(c)(3) non-profit organization and Florida’s largest network of collaboratively-trained professionals.